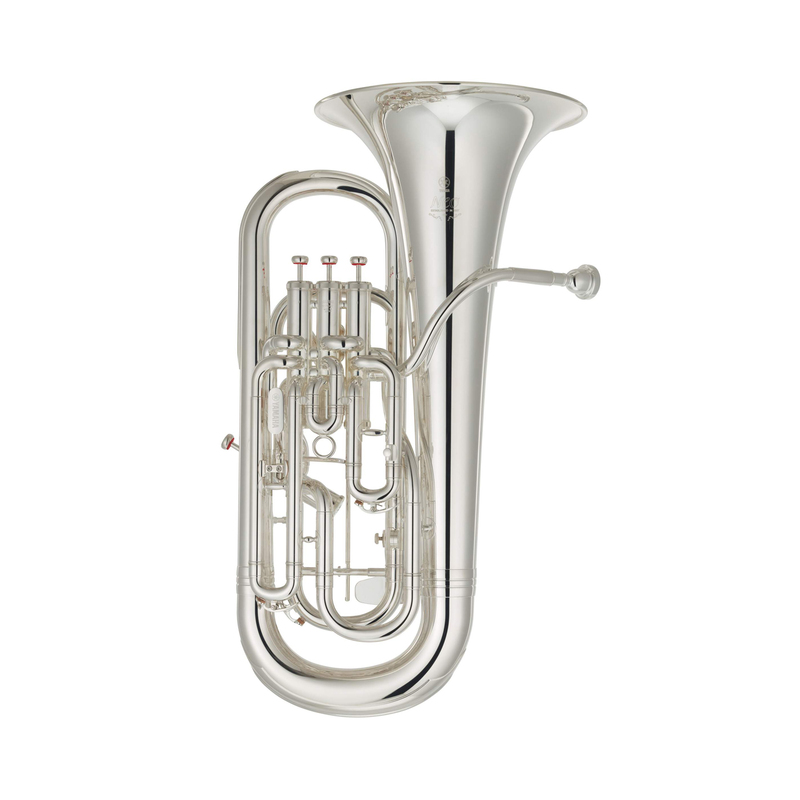 Euphonium in Bb-The YEP-642ST has created a new standard in the art of euphonium construction. This trend-setting instrument quickly became the first choice for many leading musicians, expanding musical expression through a wide range of timbres and unusually high levels of tonal viscosity. A main-tuning slide trigger system has been added to the wildly popular Neo series YEP-642 euphonium offering enhanced, precise pitch control. The new trigger system has been tested for extreme durability to withstand the toughest action. Also, the additional weight of the trigger system helps to achieve a greater depth of tone and clarity of articulation. A main tuning slide trigger system offers precise pitch control as well as solid tone. The lever plate can be pressed during a performance to shift the main tuning slide downward, lowering pitch by a precisely controlled amount. Release the lever plate and the tuning slide returns to its original position. To tune the instrument prior to a performance, loosen the rod base screw so that the main tube tuning slide can be positioned as required. The screw can then be tightened to set the trigger rod to the desired position. The position, angle, and stroke of the lever plate can be adjusted to optimize trigger system operation and comfort individual needs. The main tube tuning slides of euphoniums designed for trigger mechanisms have a rod base to which the trigger rod attaches. Additionally, the diameter of the main tube tuning slide inner tube is smaller than normal to ensure smooth trigger operation. A special metal cover prevents the main tube tuning slide from coming into to direct contact with and possibly transferring oil to the player's clothing. Loosen the attachment screw to adjust the position of the cover as required.